Safety is always a priority in the design and installation of our products – which is why we offer multiple features to ensure protection for employees and items. Safety has been paramount in Spacesaver’s engineering from the very beginning. As a result, we’ve pioneered virtually every significant safety feature in the industry. 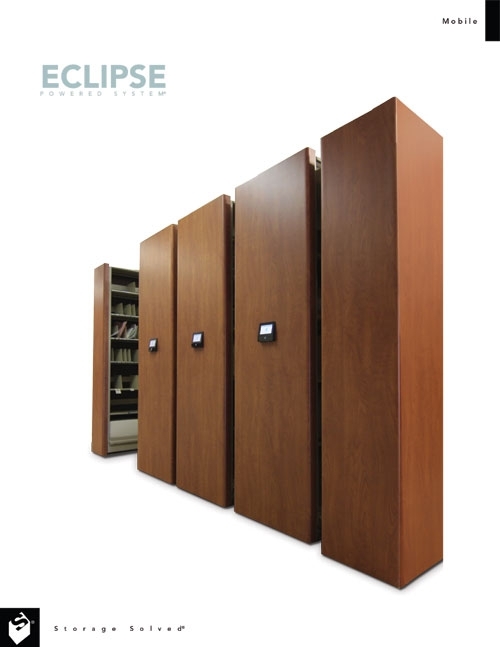 Any of our systems can be designed to close and lock when not in use. 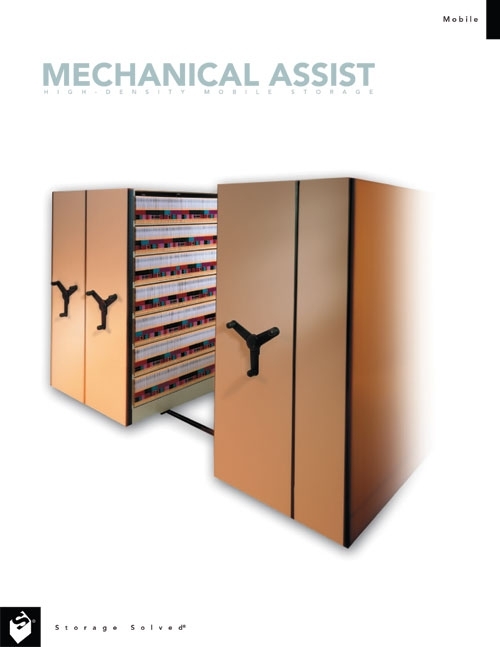 All of our powered systems—many of which can also be programmed for controlled, selective access—are UL system listed and CSA approved. The safety system you choose will depend upon your individual customer’s needs, the type of controls selected and whether the system will be accessed by the general public or restricted to trained personnel.  We urge you to let us do a customer needs analysis and make recommendations for your individual projects. 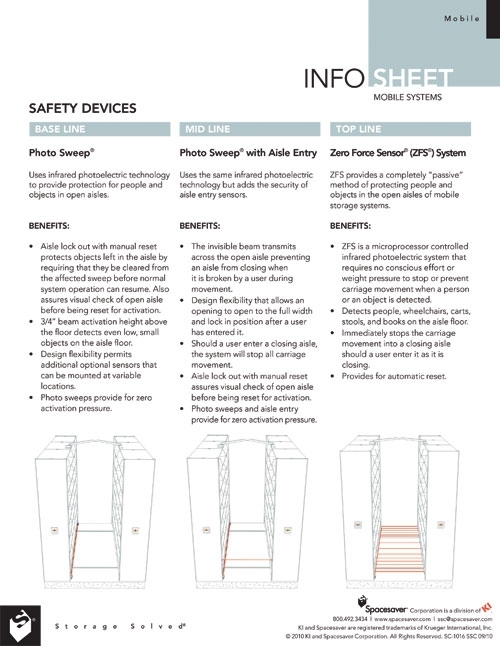 A floor level safety sweep is considered the mobile system’s primary safety. Every aisle is required to have a minimum of one sweep. 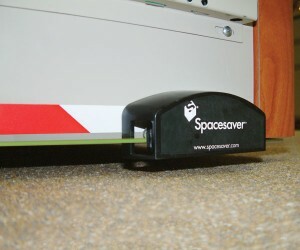 Spacesaver has two options available for safety sweeps: Photo Sweep® and Safety Sweep. 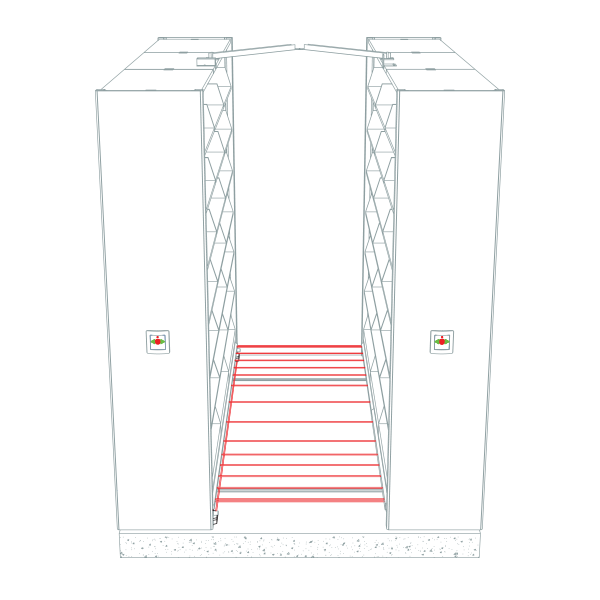 An infrared light beam, unaffected by sunlight or ambient light extremes, projected the length of the carriage at its base stops system movement when broken by a person’s foot or other object. An infrared light beam sweeps for obstructions close to the floor. If a carriage begins to move while you are in the aisle, it can be stopped by breaking the light beam that is constantly projected along the entire length of the carriage. 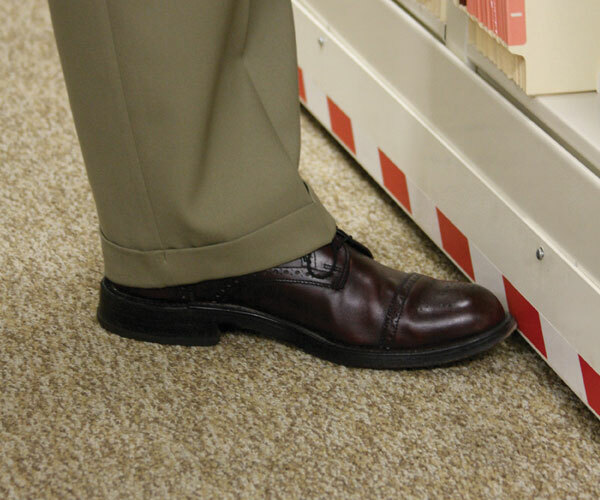 To accomplish this, simply place your foot in the area defined by the red and white safety tape. 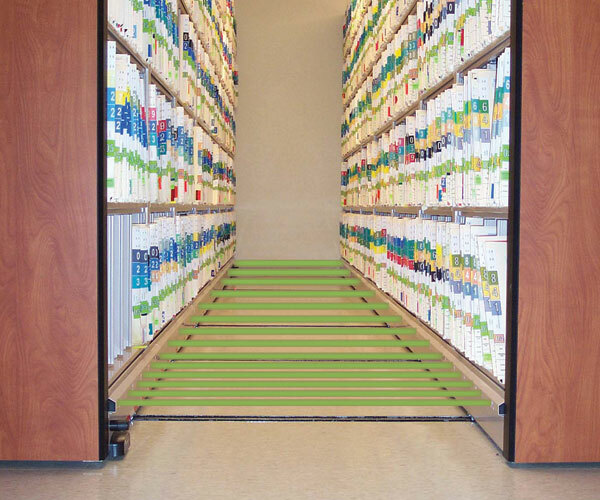 Spacesaver’s safety sweep provides full aisle protection for people and objects in the open aisles of high-density mobile storage systems by automatically stopping carriage movement upon contact with an obstacle. Lighted indicators signal when a person or object is in an open aisle, and prevent the selection of a new aisle until the open aisle is checked. 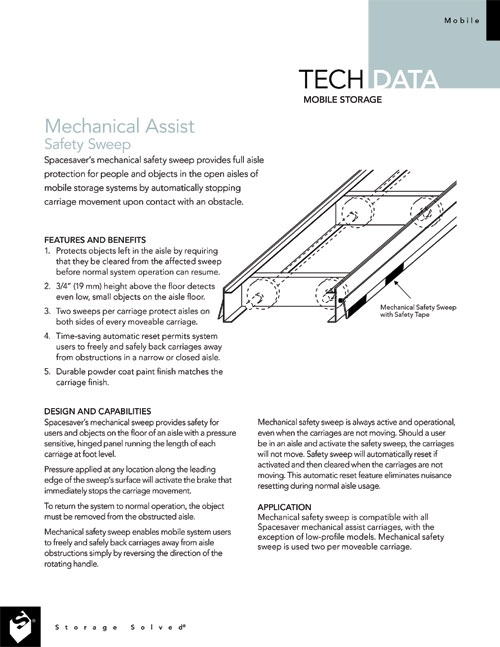 In the first 30 inches (762 mm) of each aisle end, cross-aisle Zero Force Sensors (ZFS) mounted on 6-inch (152 mm) centers (versus 12-inch [305 mm] centers the rest of the carriage length) ensure safety and automatic reset upon exiting. 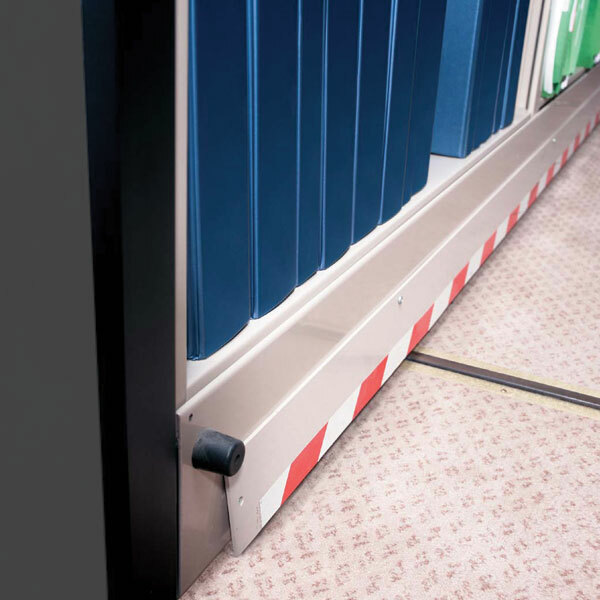 If a person enters a closing aisle, cross-aisle sensors mounted 20 inches (508 mm) up from the carriage base stop the system from moving.  Entering an open aisle will break the beam, and prevent the system from moving. Entering an opening aisle will have no effect on the opening of the aisle, but will prevent the system from moving once the aisle is fully opened, until the system is reset. 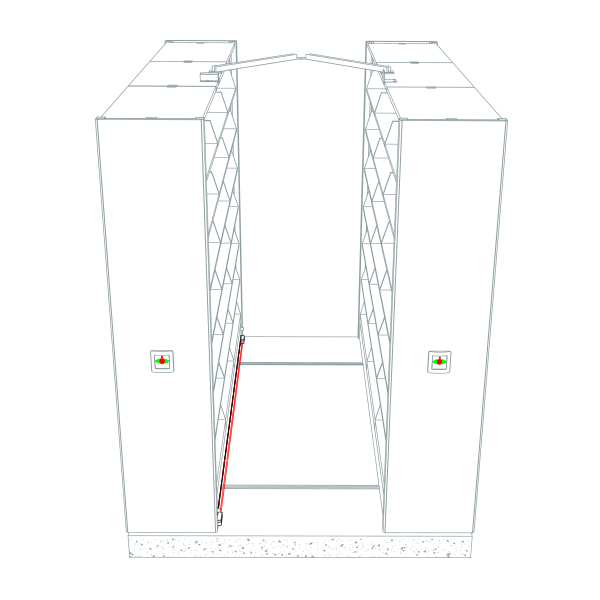 Entering a closing aisle breaks the beam, stopping system movement. 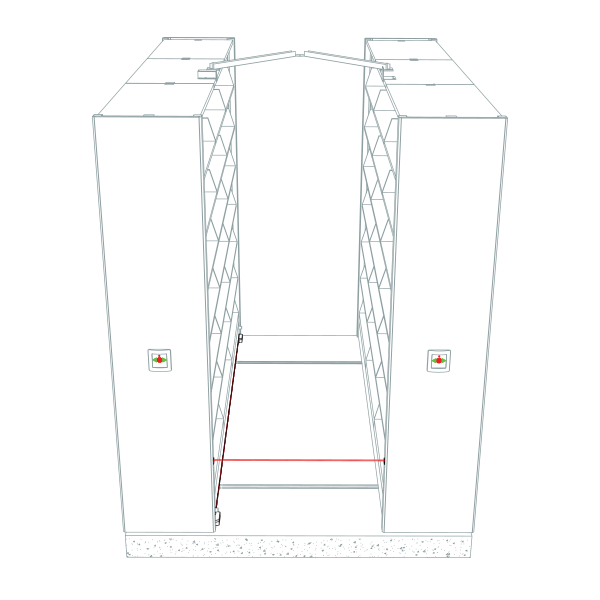 By projecting multiple infrared photoelectric beams across an open aisle the full length of the carriage, the Zero Force Sensor (ZFS®) system detects a person’s entry into a moving aisle or presence in an open aisle and automatically locks down carriage movement.